Fred Eaglesmith can talk to you about almost anything. Chances are, he’s had that car, tractor, job, relationship, idea, and hat. But throughout his life and experiences there is always one thing that has remained the same: his undeniable gift for writing a song. Aspiring songwriters and performers of all ages call and write Fred with questions on how to have a career like his. 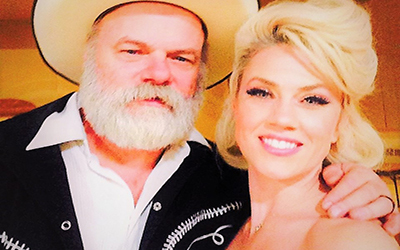 After all these years touring the United States, Canada, and Europe, having his songs covered by some of the biggest names in music, and appearing on “The Late Show with David Letterman” – the enigmatic, countrified, Rock n’ Roll troubadour, Fred Eaglesmith, is carrying on with musical wife Tif Ginn.